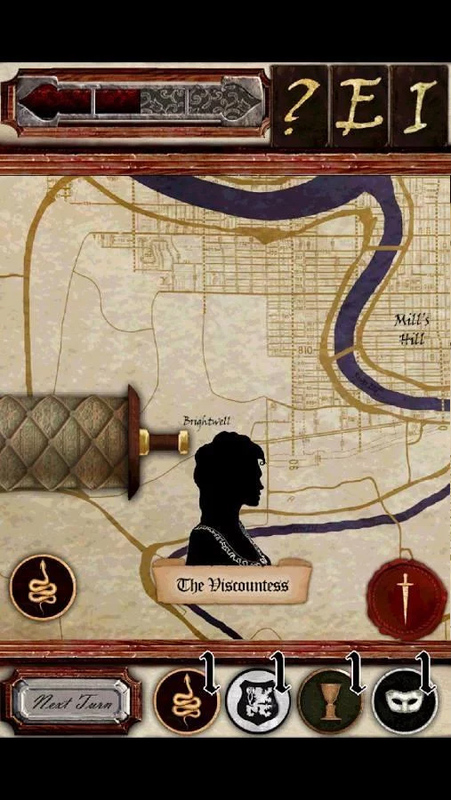 In Behind the Crown the player must prevent the murder of the King by assigning their agents to investigate inhabitants of the city. Each turn the player chooses how to divide their agents amongst the suspects of the King’s court. At your command you have the deadly assassin, the brutal enforcer, the suave socialite and the enigmatic spy who will report back their findings to you when their tasks are done. Will you choose to arrest the guilty suspect or have them ‘disappear’? 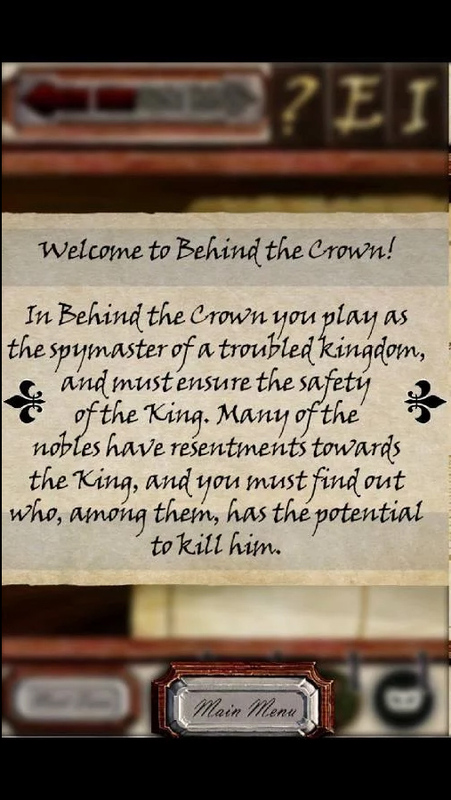 Behind the Crown is a text based adventure that is different every time you play, solve the mystery – protect the King! 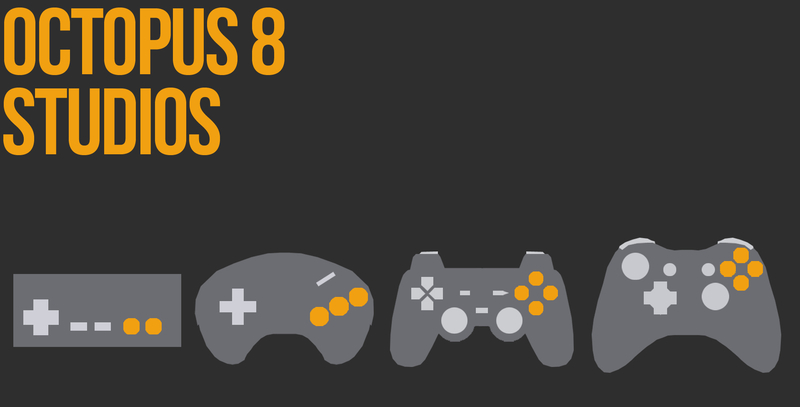 Amazing The game is easy to get into and provides the right amount of challenge. Love the graphics and music! !